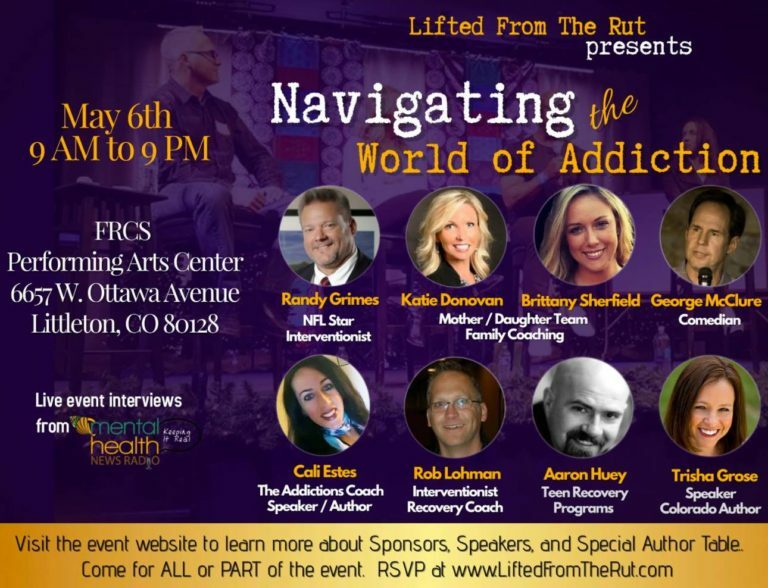 Aaron will be speaking at Navigating the World Of Addiction, so please join us if you can. This is an excellent event for parents who need support. It is being held on May 6th from 9AM to 9PM at the FRCS Performing Arts Center in Littleton, Colorado. To learn more, please check out their website.